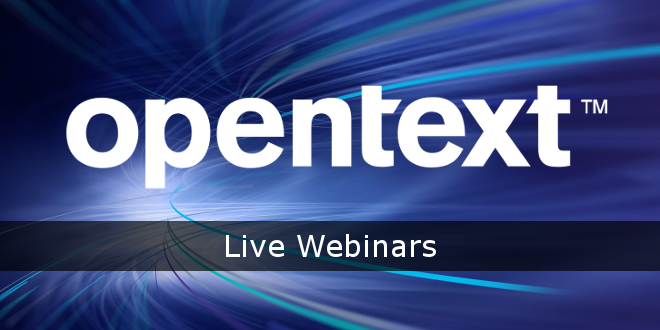 Ankündigung: OpenText™ Webinar: "What's new with OpenText Media Management 16.5?" - Open Text Web Solutions Usergroup e.V. Ankündigung: OpenText™ Webinar: "What's new with OpenText Media Management 16.5?" Topic: What's new with OpenText Media Management 16.5? Description: OpenText is excited to release the latest version of our industry-leading DAM Solution OpenText Media Management version 16.5 and looking forward to sharing all the latest innovations and improvements with the community. Please join us as we walk through the latest and greatest features and new functionality.